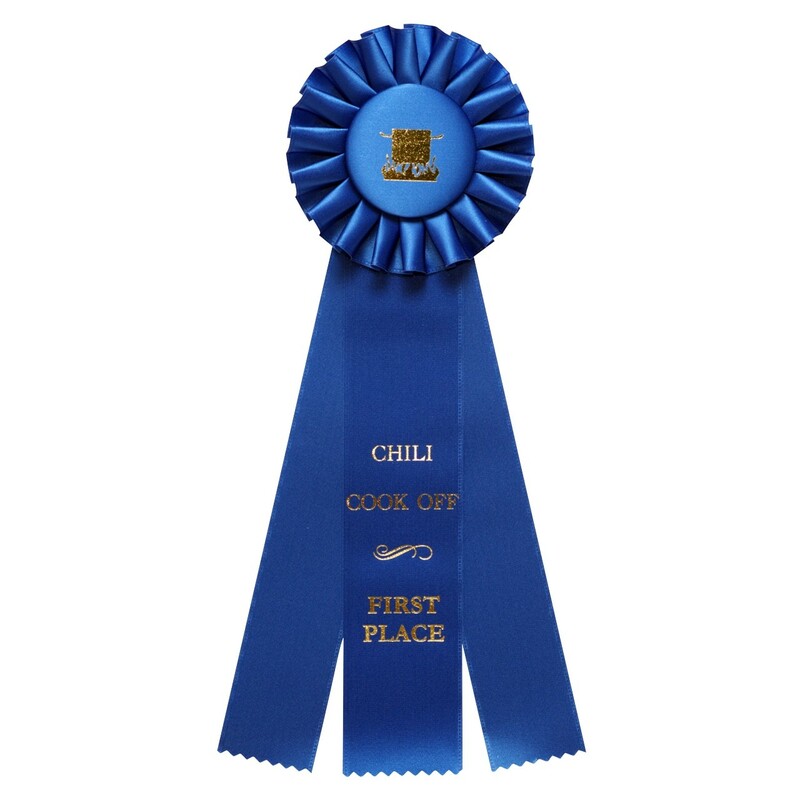 When you think of a champion pot of chili, one imagines a quintessential blue ribbon attached to the pot. 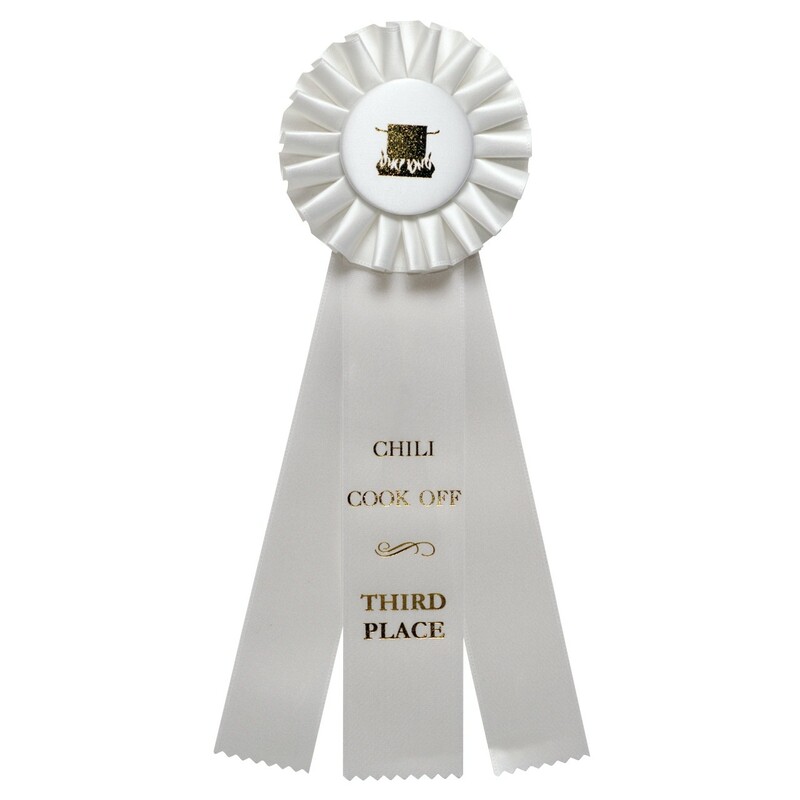 Available in First (Blue), Second (Red) and Third Place (White), our Chili Cook Off Ribbon is the perfect award to pin on the tastiest entry! 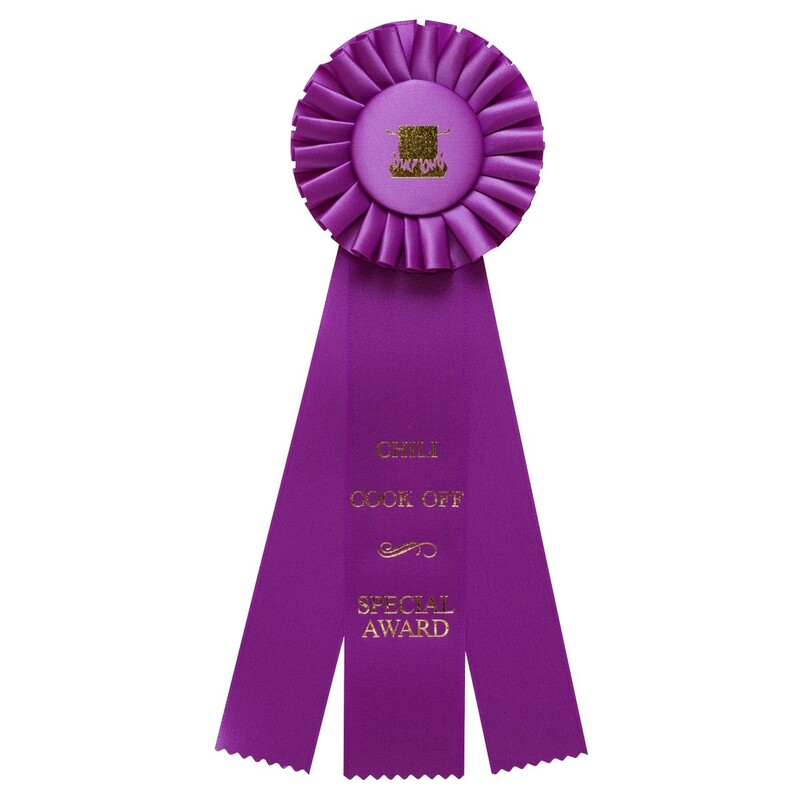 We also feature a purple 'Special Award' for other categories in your cook off, such as People's Choice, Hottest, etc. 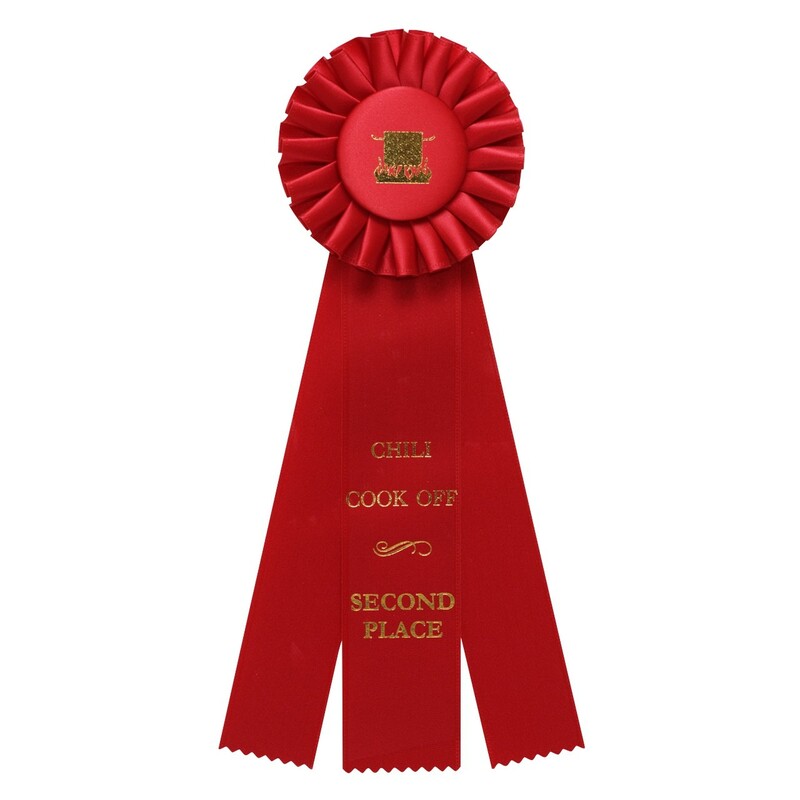 Each ribbon features a solid colored rosette with a gold flaming chili pot picture. Three streamers hang from the rosette, with the center streamer featuring gold printing. 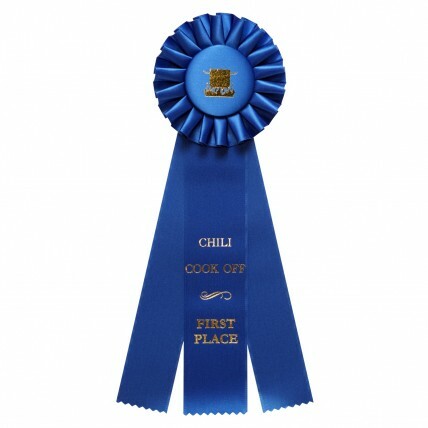 The ribbon includes a small string for hanging.